Fun fact about me: mornings are painful for me. I am, in every sense of the word, a night owl. I know...I know...my appetite is weird. But needless to say: a girls gotta eat. If you are like me, you've come to the right place. ​Afterall, breakfast is the most important meal of the day! 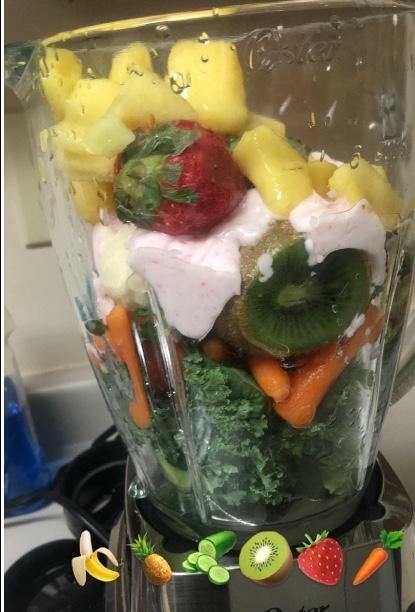 Smoothie: I blend my smoothies using yogurt, green tea, frozen pineapples, frozen strawberries, carrots, kale, kiwi, and 1 banana. Next, always place a liquid first as it helps prime the blades to blend the elements more easily. I then add a banana, split in half at the middle. 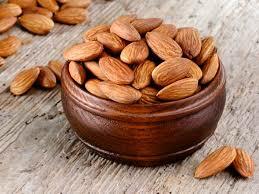 Add green tea (about 1/2 cup) or any other substitute liquid Ex: skim milk, almond milk, water, alkaline water.